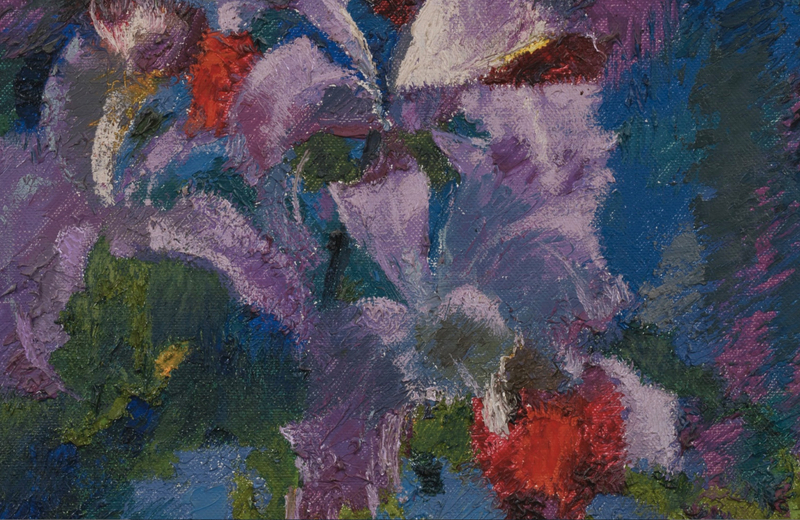 Augusto Giacometti (1877 –1947) was a Swiss artist from Stampa, Graubünden, known predominantly as a painter in the Art Nouveau and Symbolism movements, as well as for his work in stained glass. 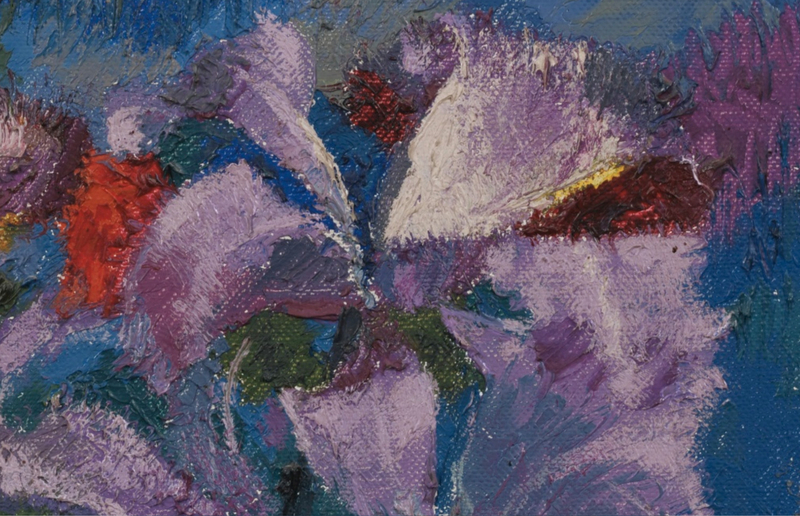 He was a proponent of murals and a designer of popular posters. 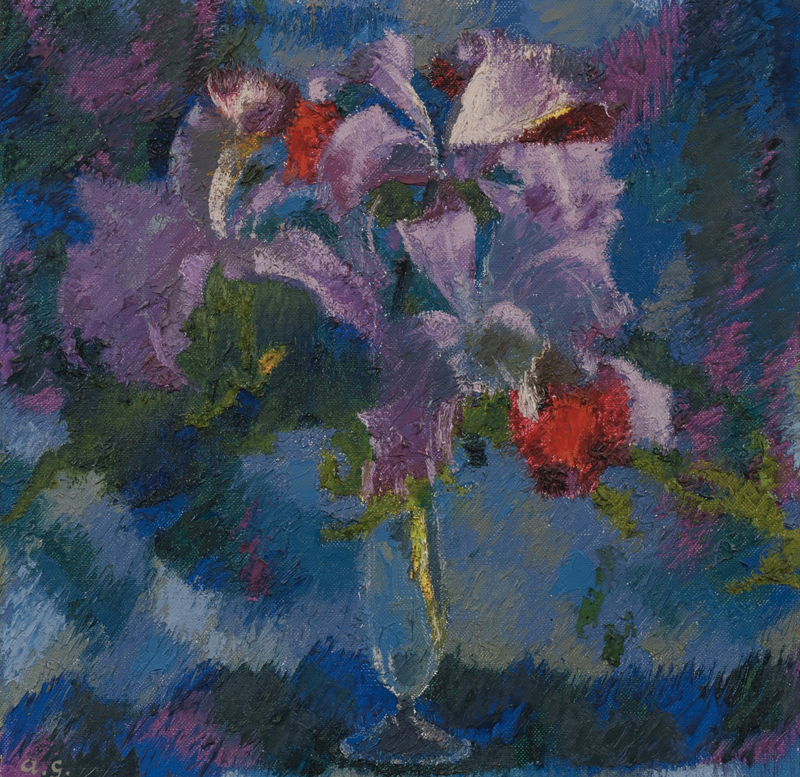 He is cousin of Giovanni Giacometti – father of Alberto, Diego and Bruno Giacometti – comprising the successful Giacometti dynasty of painters and artisans. 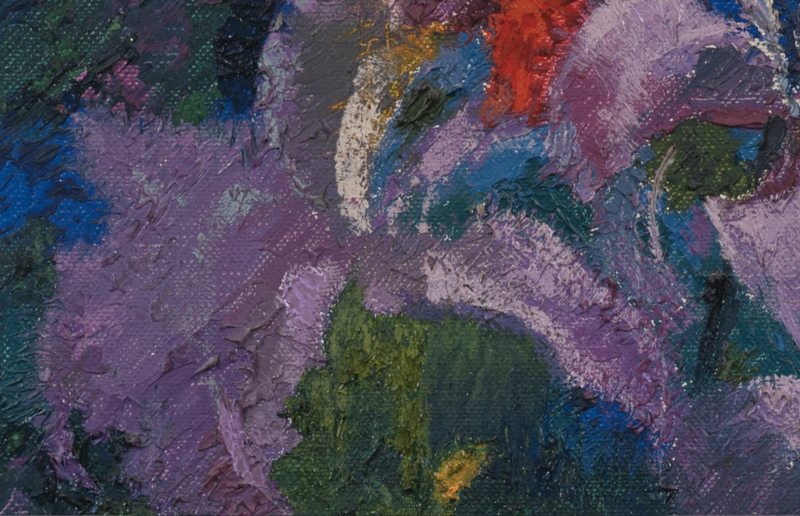 Augusto Giacometti was one of the first painters of the 20th century to take steps into non-representational painting; his abstract paintings reflect his exhaustive study of the characteristics and rules of color. 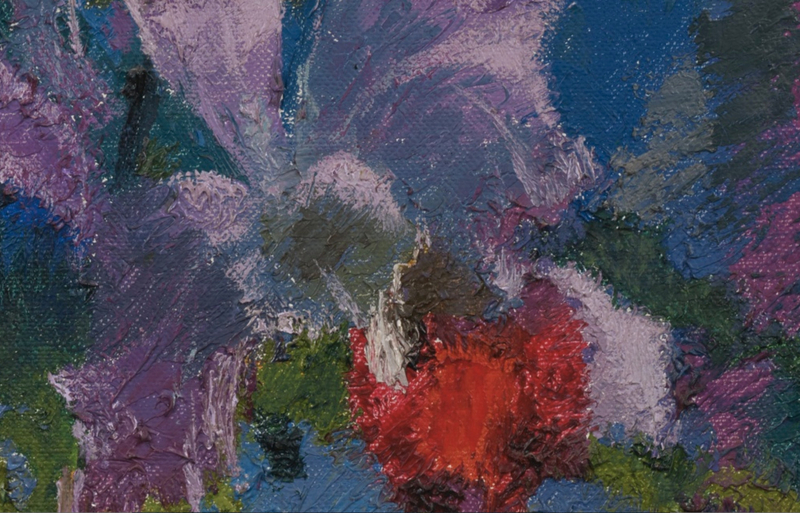 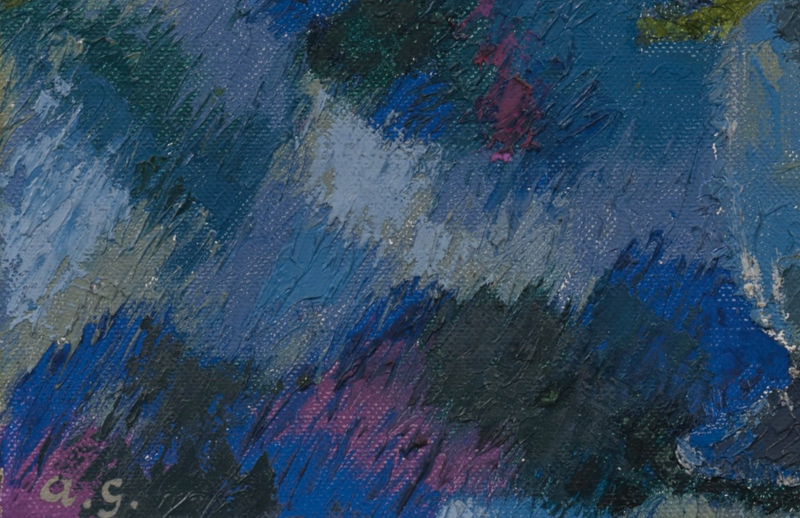 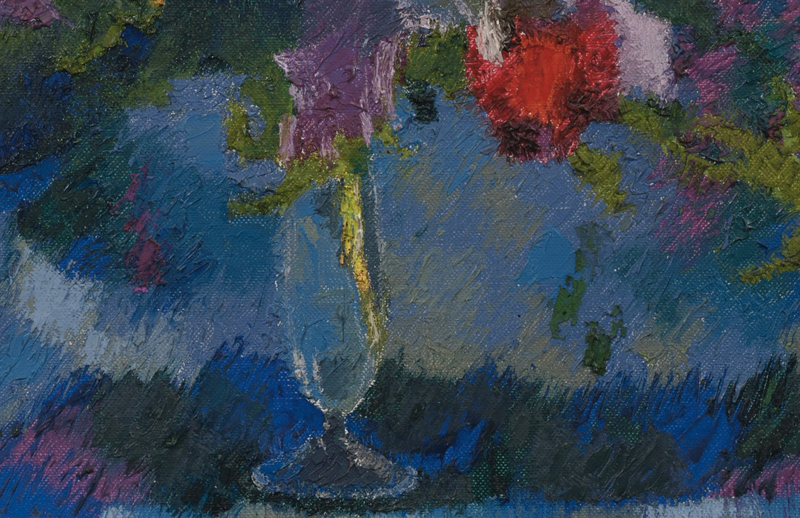 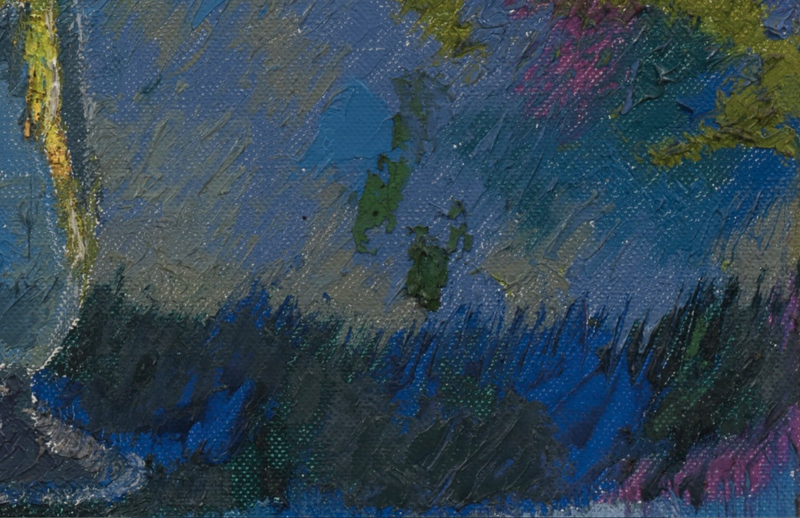 Augusto Giacometti (1877-1947), ORCHIDS ON BLUE GROUND, 1938, (ORCHIDEEN AUF BLAUEM GRUND) Monogrammed lower left; Signed, dated and titled on the reverse, Oil on canvas, Source: Sotheby’s, Link: http://www.sothebys.com/en/auctions/ecatalogue/2016/schweizer-kunst-swiss-art-zh1603/lot.43.html?locale=en , (detail). 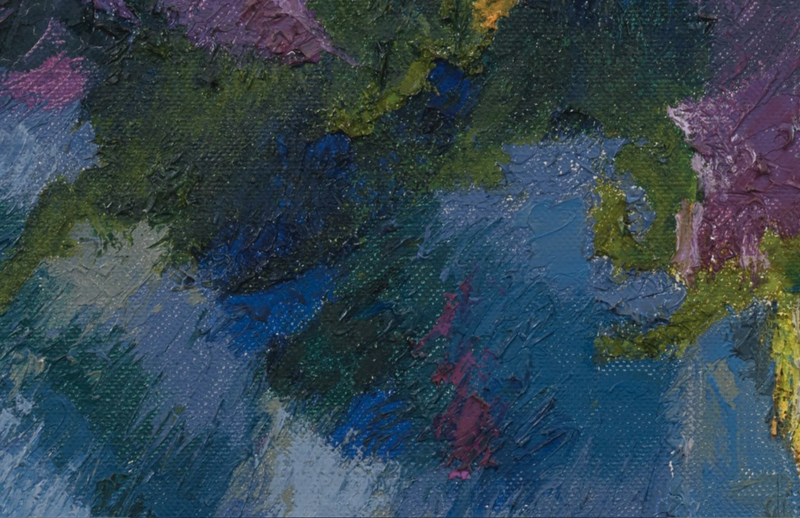 Wikipedia contributors, “Augusto Giacometti,” Wikipedia, The Free Encyclopedia, https://en.wikipedia.org/w/index.php?title=Augusto_Giacometti&oldid=867373963 (accessed December 5, 2018).